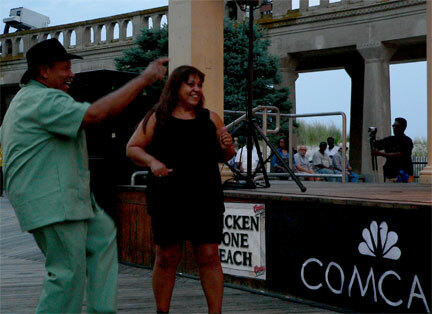 In Atlantic City, an evening of jazz — Chicken Bone Beach — Photographs! One of our favorite things to do in the summer is to go to the free jazz concert series on Thursday nights in Atlantic City. The music is at the Pavilion, across from the Convention Center. 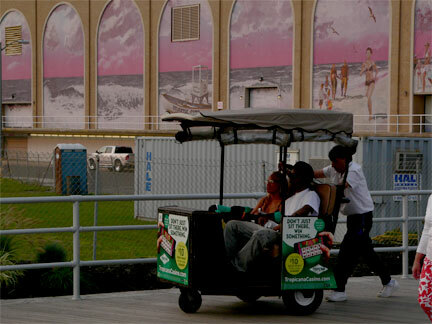 This is the lower-part of the boardwalk (largely casino-free). I found myself wondering what the boardwalk would be like without the casinos. Maybe not so bad! 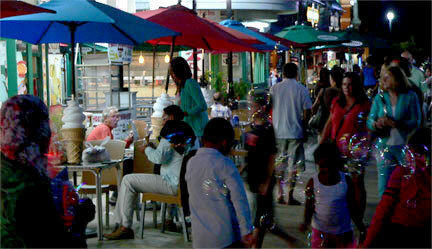 On a break between concerts, I took and stroll on the boardwalk and found to my delight, bubbles! 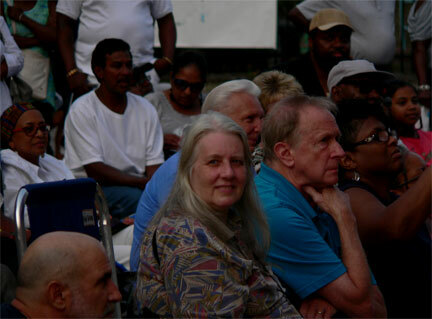 My partner Barbara sitting in the audience at the Chicken Bone Jazz Series in Atlantic City. 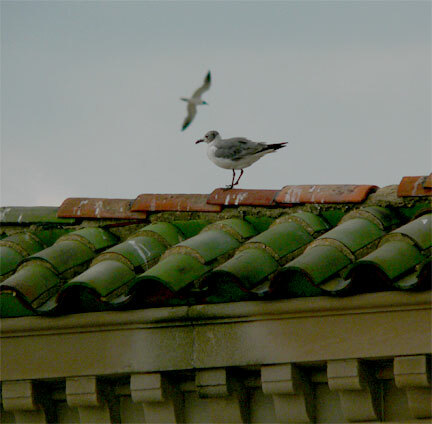 The gull on a green clay rooftop reminds me of antiquity! Everyone is searching for something on the boardwalk — there it is floating by in the sea air! 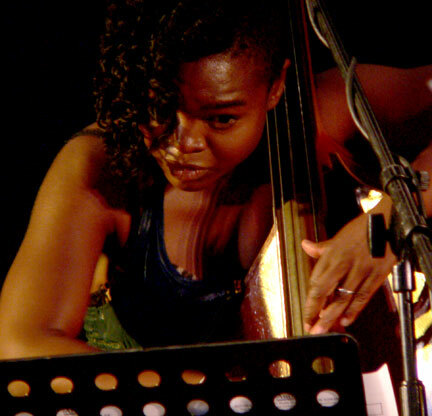 Mimi Jones on acoustic bass. She rocks! On the beach, near the convention center – a lifeboat, guard stand and the horizon.